Next we all had a go at making a quick comic strip based on a random Wikipedia page - yes, even those of us who can only draw stick figures! Then in small groups we discussed what we'd created and any issues it raised. 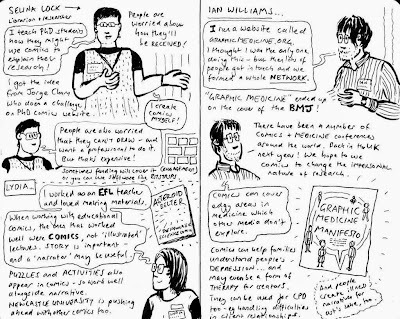 Difficult to create a comic strip to the time limit - several of us wanted to do more research first, rather than stick to the basic information on the Wikipedia page. All the comic strips were different even if we'd picked the same bit of information to base the strip on. Differences included bringing a modern socio-political outlook to some of the historical events, and deciding what was/wasn't appropriate to depict (as some of the information was about a bombing). Lizzie Boyle (Cross political satire anthology, Disconnected Press) - Lizzie talked about trying to use a comic book prior to the election to engage people in politics. 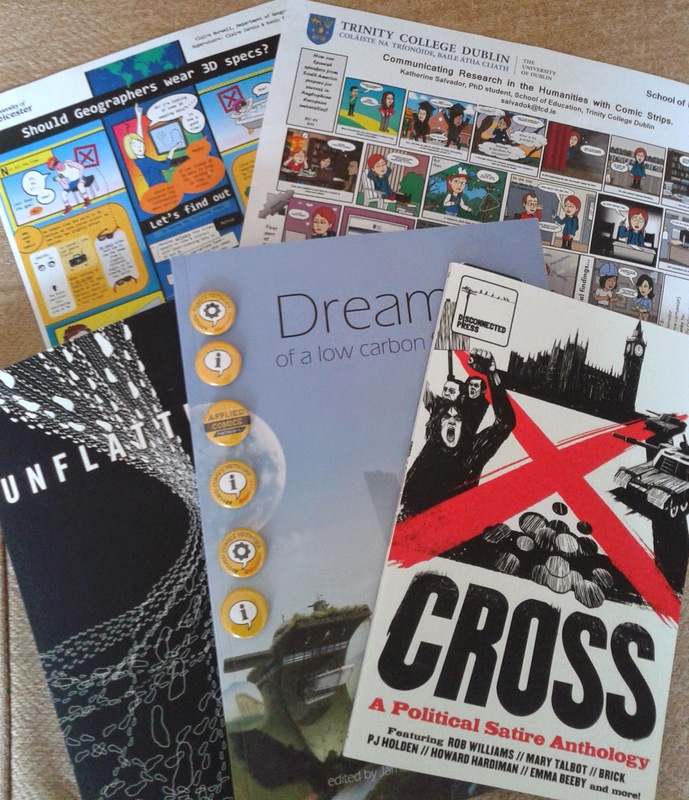 It worked best with those who already liked comics and were interested in politics, but some schools/organisations also used the book to try and engage with young voters. 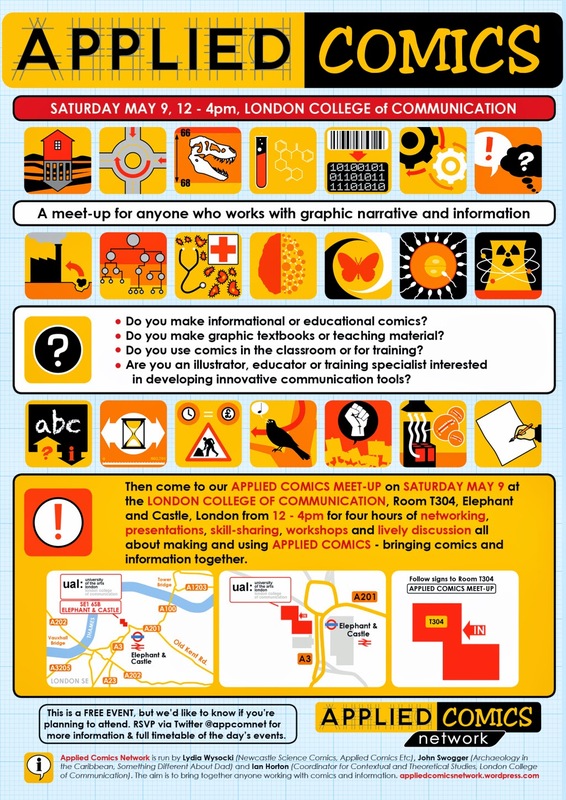 Selina Lock (Research communication workshops using comics with postgrad students) - I talked about the workshop I do for PhD students and that the biggest barriers to using comic strips is lack of funding/artists and fear of disapproval from the academic world. 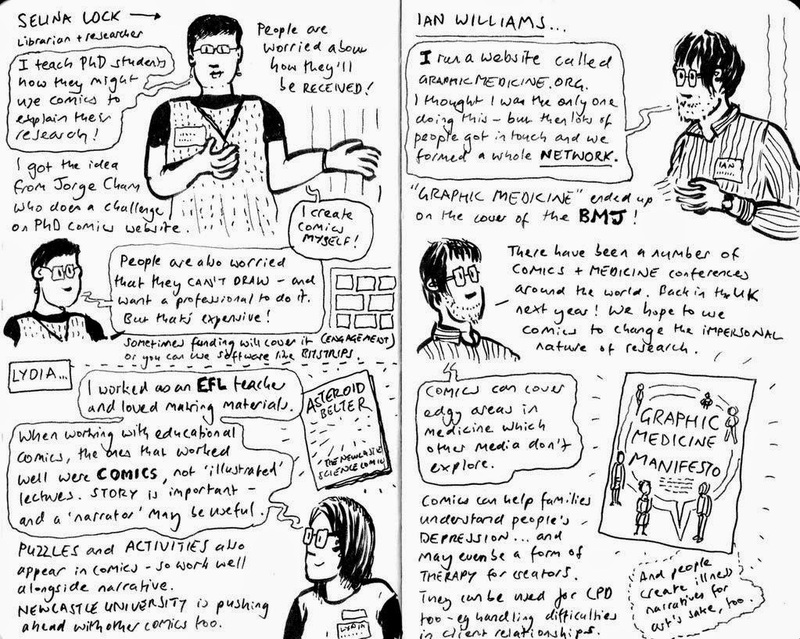 Also that some workshop attendees found making a comic strip useful to identify the 'story' of their research and what they wanted to communicate, even if they didn't use a comic as a final communication method. Lydia Wysocki (Applied Comics Etc) - Lydia talked about several funded projects she is overseeing to use comics to engage with the wider public - including a comic about 'Spineless Mini-Monsters' to accompany a museum exhibit and comics to highlight the WW1 & Gertrude Bell archives at the University of Newcastle. Ian Williams (The Bad Doctor, Graphic Medicine) - Ian is the co-founder of the Graphic website and conference, which grew out of his Masters dissertation looking at medical narratives in comics. 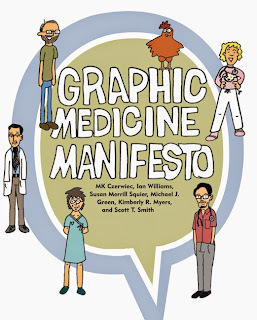 He also talked about workshops he, and other Medical academics in the States, have done asking medical students to create comic strips to reflect on their medical practice and interactions with patients. 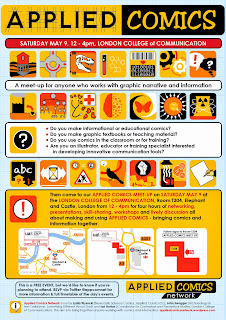 Steve Marchant and The Cartoon Museum - Steve talked about the wide-ranging experiences he's had working with school children, teenagers and senior citizens to create comics. He either ran workshops so they could create comics themselves or created comics based on their experiences. The comics often dealt with issues such as bullying, teenage pregnancy, recycling etc. Suggestions included - from within existing grants if there is a wider impact focus, Arts Council (for art focused projects), Arts Council for Libraries fund, Public/Wider Engagement Funds (Specific funds within Universities, Research Funders, Lottery/Heritage Funds, Local Authorities). That trying to create a comic strip can be very helpful even if the strip is not used - to reflect or examine ideas, to help focus on specific issues, to storyboard a process or to reflect on current practice or communication methods. 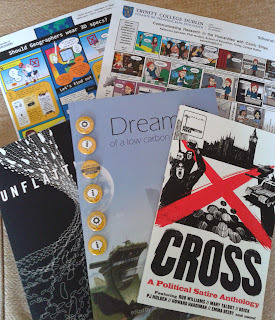 Several attendees recommended reading: Unflattened by Nick Sousanis - comic book based on Nick's PhD thesis. "The primacy of words over images has deep roots in Western culture. But what if the two are inextricably linked, equal partners in meaning-making?"